A few more "super" ideas! You are here: Home / banner / A few more "super" ideas! 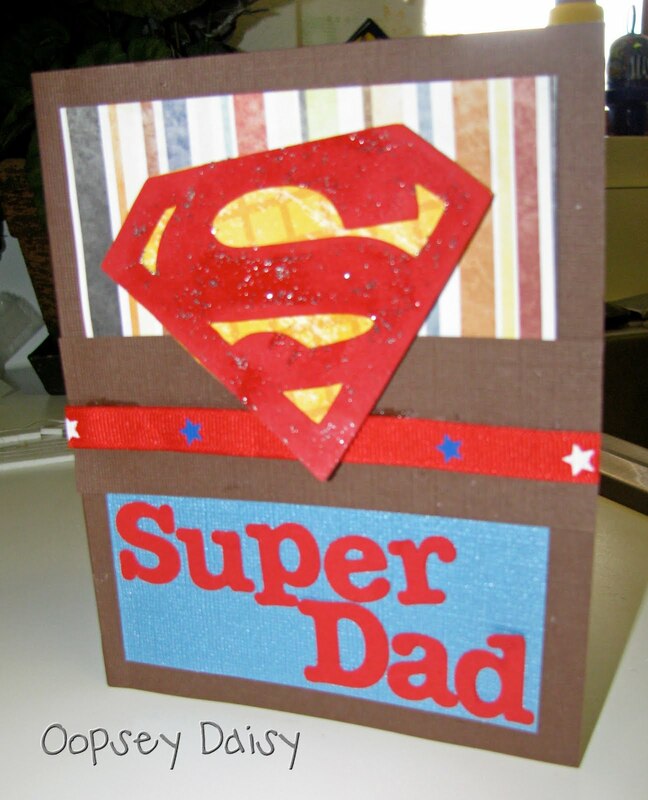 First of all, I was so tickled when a few of my favorite blogs My Insanity, The Creative Crate, Creation Corner, and Delicious Ambiguity featured some of my Father's Day ideas yesterday. 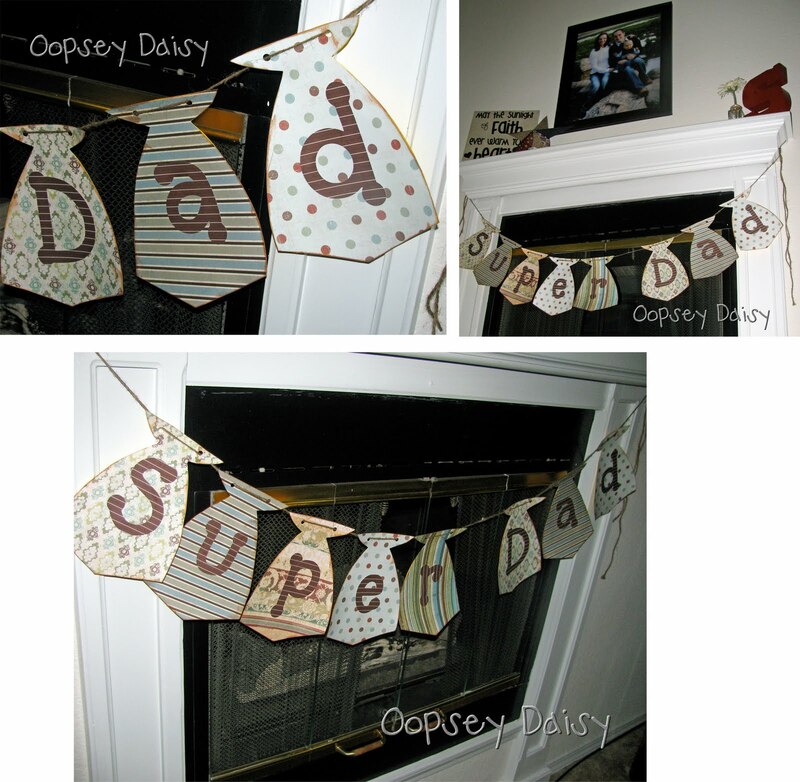 In fact, Kendra from My Insanity shared oodles of incredible Superman ideas for Father's Day. It just makes my day when people with serious talent feature ME. So thanks a bunch! I have been trying to teach Little Man how to color. (This has been quite a tricky thing for Little Man because he wants to color anywhere BUT on the paper!) 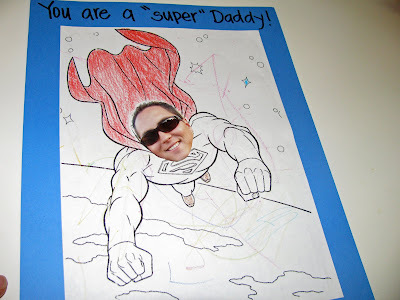 So we printed out this Superman coloring sheet and glued Daddy's face on it! He kept pointing to Daddy's face and giggling... so cute! This will be his "card" for his Daddy. 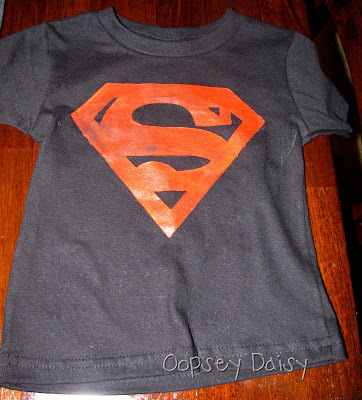 I did a freezer paper stenciling shirt for Little Man to wear. He'll be wearing this with his lil' superman cape. I'll be strutting my stuff in my Supergirl bleach shirt. I just couldn't resist making a "Super Dad" banner! I used a template to cut out tie shapes out of cute scrapbook paper. The ties ended up a bit fatter than I expected, but I like it that way. I ended up mounting them on cardstock for extra sturdiness. Warmest wishes for a fun Father's Day weekend! Awesome! 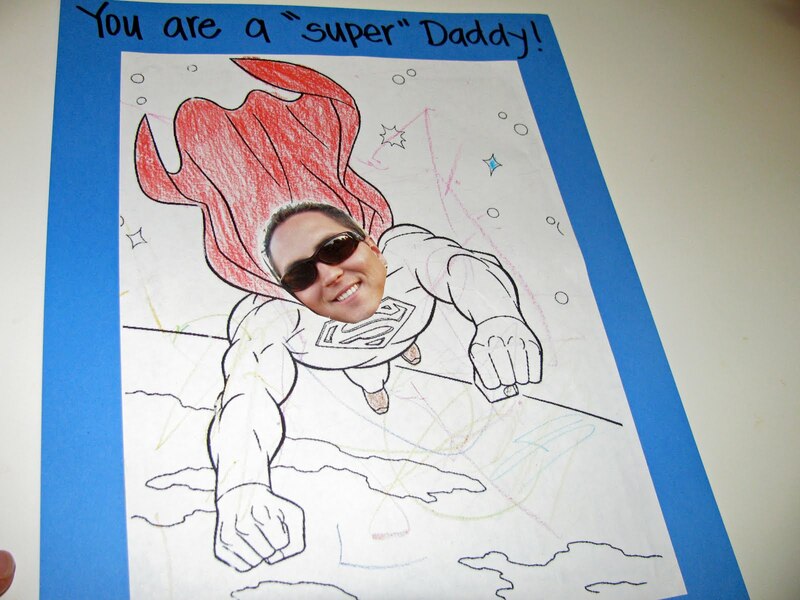 I love the super dad card you made. I posted a freebie printable yesterday for Super Dad cupcake toppers. Check it out if you are interested! Such cute ideas! Love the coloring book page with Dad's face on it! I bought a pop-up card for Hubby a few years back that showed a Dad watching TV. Did the same kind of thing, putting his face on it, adding pictures of the grandkid and dogs to the scene. It was a total riot and so easy to do! So cute! I hope he hasn't been reading your blog, that might ruin the fun! I love the banner of course! I am curious about the Superman freezer stencil. I am trying to wrap my brain around how to do this…Can you email me or reply to this regardning how you did that tee shirt? Thank you sooo much! You have very cute things on your blog!